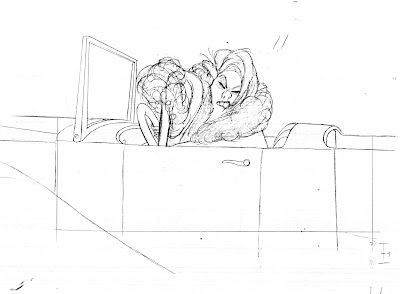 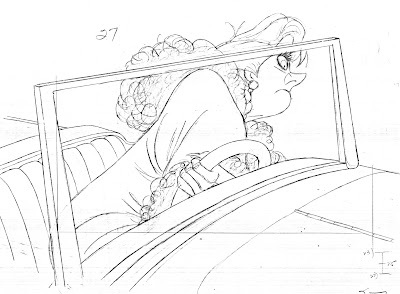 Another great Madame Medusa scene by the one and only Milt Kahl. 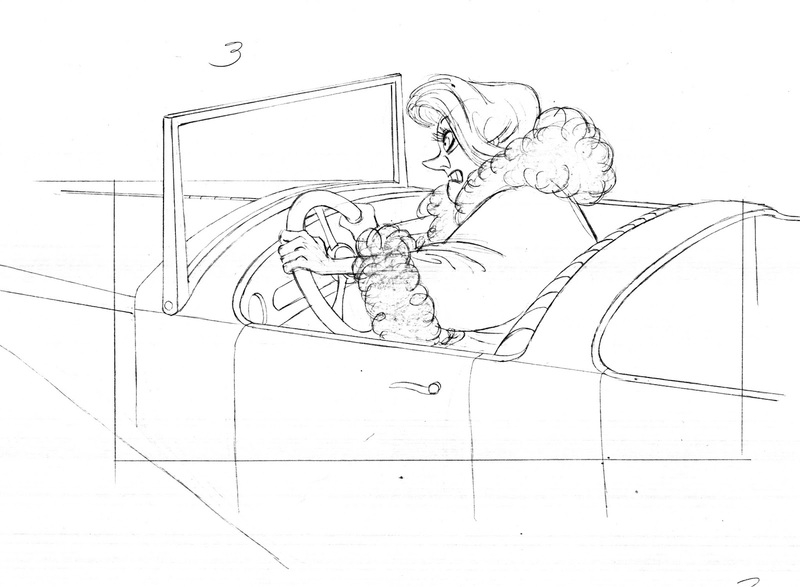 Here she is on her way to the airport to take the next flight to Devil's Bayou. 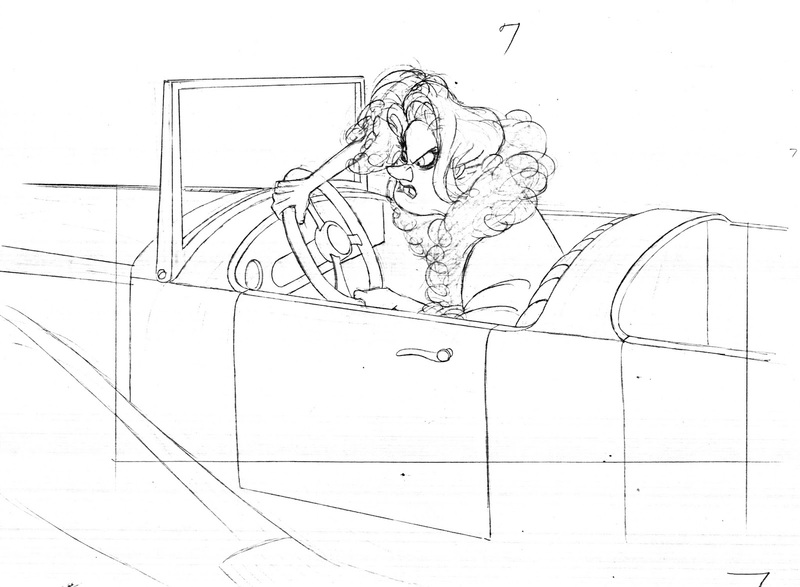 Medusa has to take matters into her own hands, since Snoops has difficulties in dealing with Penny, the orphan girl. 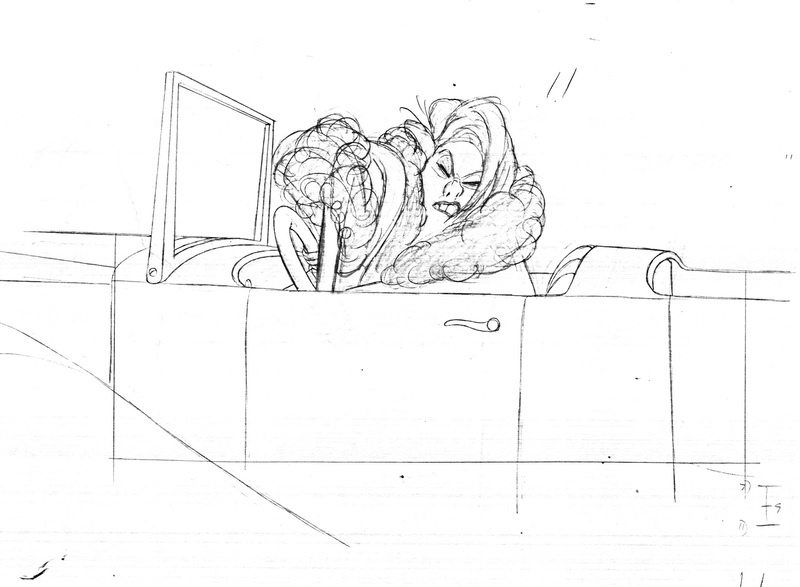 I wonder what came first in producing this scene. 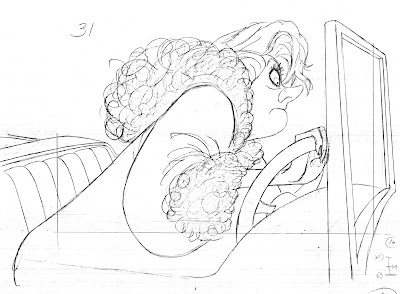 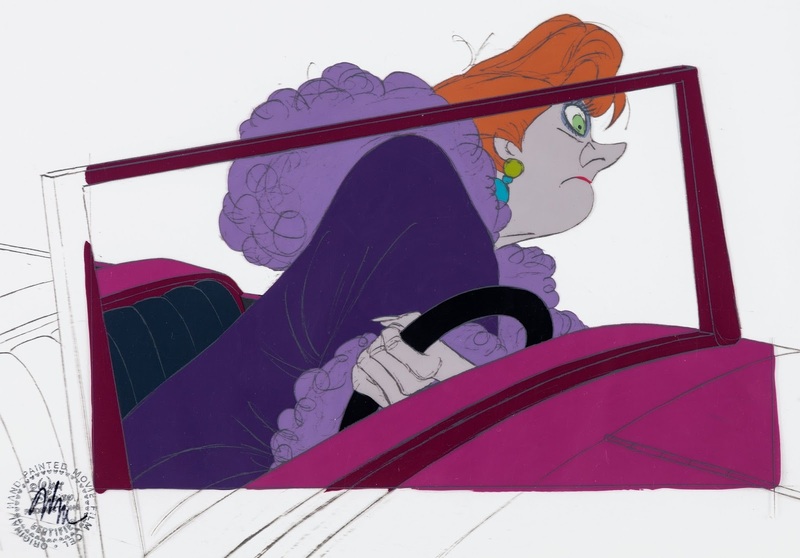 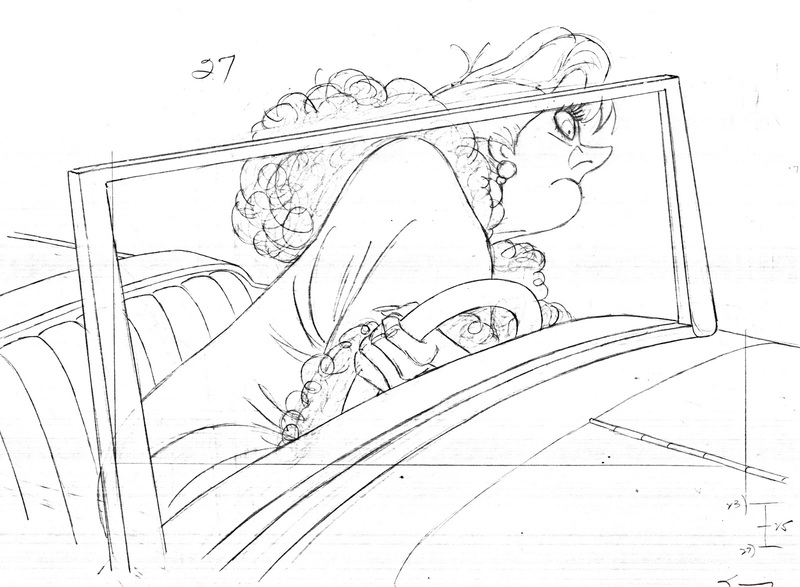 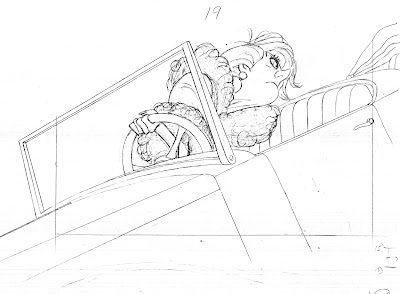 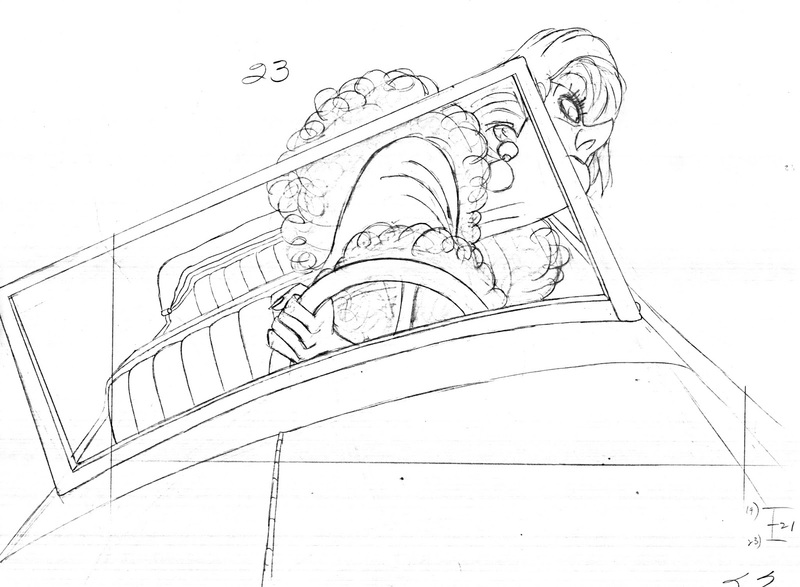 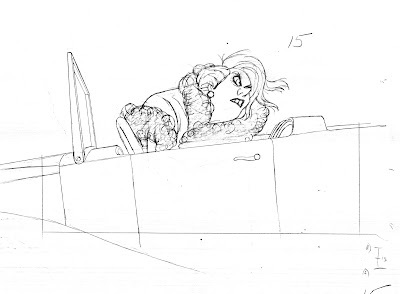 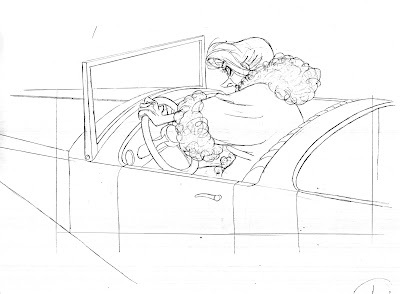 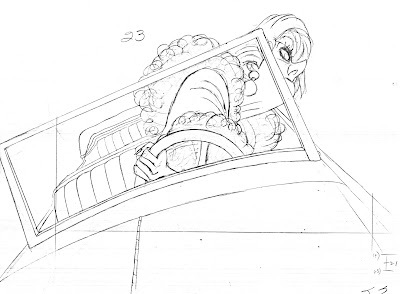 The effects animator's car turning, or Milt's Medusa animation. My guess is that Milt roughed out the main shapes and volumes for the car, before an effects artist would clean it up. 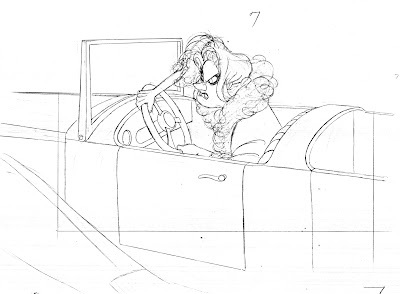 I love how Medusa is leaning into the curve. 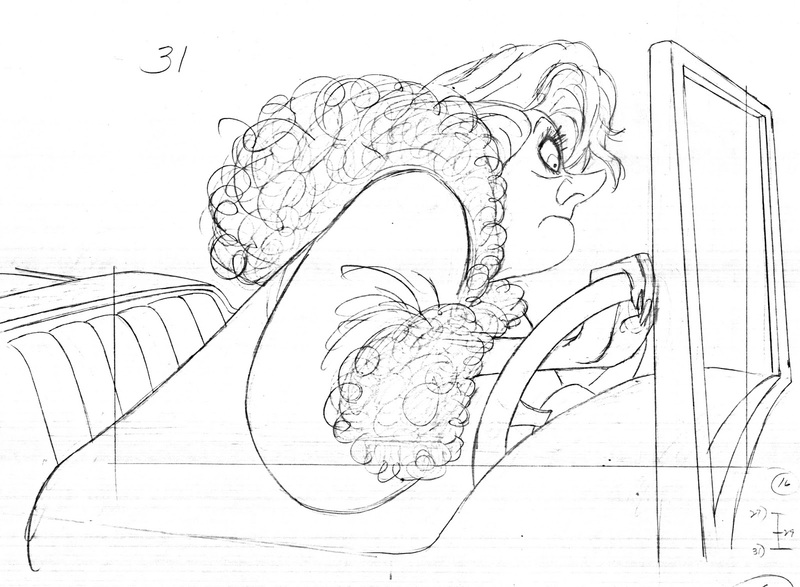 Every drawing a gem! 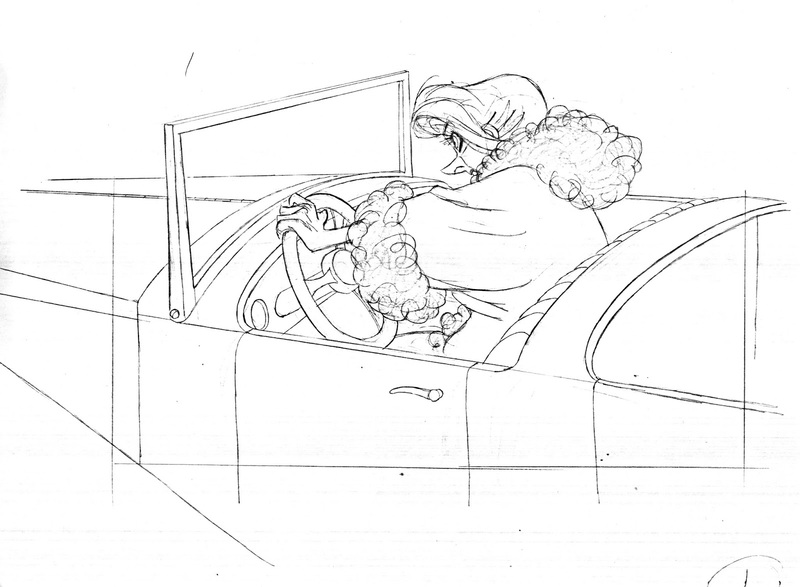 Milt used to drive a car like this one. 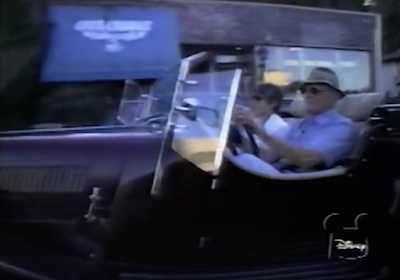 It was a reproduction of a Panther Roadster, and he showed it off during his episode of the Disney channel series, Disney Family Album. 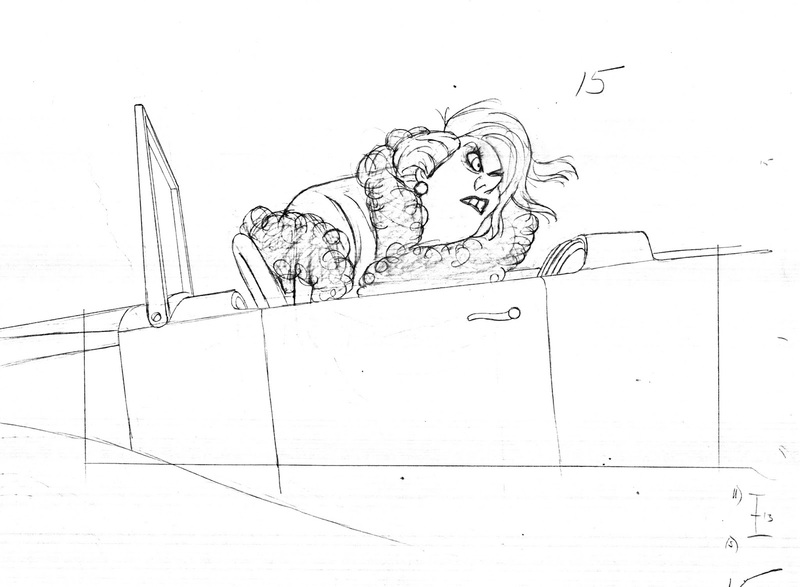 See fuzzy frame grab below!